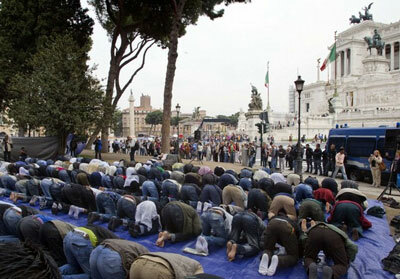 Muslim immigrants in Rome illegally take over the Piazza Venezia in Rome, Italy. In Europe, there is a flood of Muslim immigrants that are not integrating well into European society, and now many countries within Europe are rethinking the massive immigration and multiculturalism that is going on throughout the Europe and North America. Swiss voters this month voted in favor of new immigration curbs which requires the government to set an upper limit for foreigners. Switzerland a conservative nation, and one of Europe’s most successful nations has opined against massive immigration. It should be noted Switzerland is not part of the European Union. Inspired by Switzerland’s immigration vote, one of Norway’s ruling parties is calling for the country to hold its own referendum on limiting immigration from the EU and Norway. Norway’s populist Progress Party (fremskrittspartiet) urges tighter limits on immigration too. Now the United Kingdom could also cut immigration by one-third and limited to 75,000 people a year under proposals set out by the Home Office, according to a leaked UK government reports. Now under the new proposed measures introduced just last Tuesday, new migrants would not be eligible for unemployment benefits during their first three months in the country, and unemployment payments would be stopped after six months unless claimants proved they had a “genuine chance of finding a job”. In Italy it is sending immigrants to other EU countries like Germany as they don’t want to deal with them anymore, Italy is also paying them €700.00 to leave. The Dutch government has also said on the past that it will abandon the long-standing model of multiculturalism that has encouraged Muslim immigrants create a parallel society within the Netherlands. Many of the once safe cities of Europe have seen increased rates in crimes, rapes, and links to Islamic terrorism. The government have been allowing this massive immigration for a long time, mostly against the will of the citizens of the countries, including the United States. Forced cultural integration is a key part of the leftist plan. All part of destroying traditional cultures, eliminating any organized threat to global control. The rest of Europe would do the same and vote agaist multiculturalism if they got the chance to vote on it, But the leftist traitors won’t allow that. Due to immigration, Crime has been increasing in Geneva Switzerland over the past ten years. Everyone is upset. Everyone has been through something. Ancient empires like Babylon and the Roman Empire allowed immigration, both had experienced a short term or a temporary benefit to this immigration. However, at the end of the day Babylon eventually fell to the Medes and the Persians and Roman Empire Fell by Division that resulted in the modern day Europe of today with their own culture. 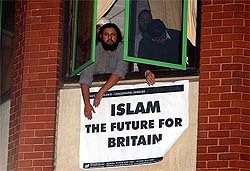 Multiculturalism, while it has few benefits destroys the identity and traditions of local populations. It also leads to a homogenisation of culture which is likely to eventually form an amorphous monoculture (you mix the mixed nuts hard and fast enough and you’ll end up with a nut smoothie that tastes the same, feels the same, looks the same and even causes the same allergic reaction). If we look at the Immigrants to the United States from the 30s all the way up to the 70s, Majority of them were of European decent, they wanted to assimilate and become American, and they did. By the second generation of European Immigrants they knew how to speak English fluently, and adopted the American way of life. By the third or fourth generation you could not tell them apart from anyone else. Recently someone named Albert D. petitioned the Obama administration on Jan. 11 to “STOP WHITE GENOCIDE: Halt MASSIVE third world immigration and FORCED assimilation in White countries! “The worlds population reached 7 billion on October 31, 2011 with White Europeans representing only a minority of 699 million people which is only 9% of the entire global population meaning in short, white Europeans are dwarfed by global 91% of all other ethnic groups. Making us the minority.” said Albert D.
Now for Modern day Immigrants. They are not of out of continents like European, but from very poor third world countries. A large majority of them don’t care to learn English, or assimilate. They expect the U.S to assimilate to them, and for the most part the liberal lefties have tried to appeased them in every way they can. In U.K with their huge population of Muslims, the Muslims are pushing for Sharia Islamic Laws, a third word mentality based on a barbaric cult religion founded by a violent 5th century warlord named Mohammad. In certain parts of the U.K Sharia is already the law. Unless you are Muslim, those parts of towns are very dangerous places to be. In a couple more generations the U.K along with Sweden, and other European Countries that have taken in mass numbers of Muslims, changing the language, culture, religion with it. Out of many, one (E pluribus unum) creates strength. Out of one, many, creates war, this was a Roman motto. Multiculturalism is not a better social model than assimilation, as it creates a divided society with no common beliefs or values. 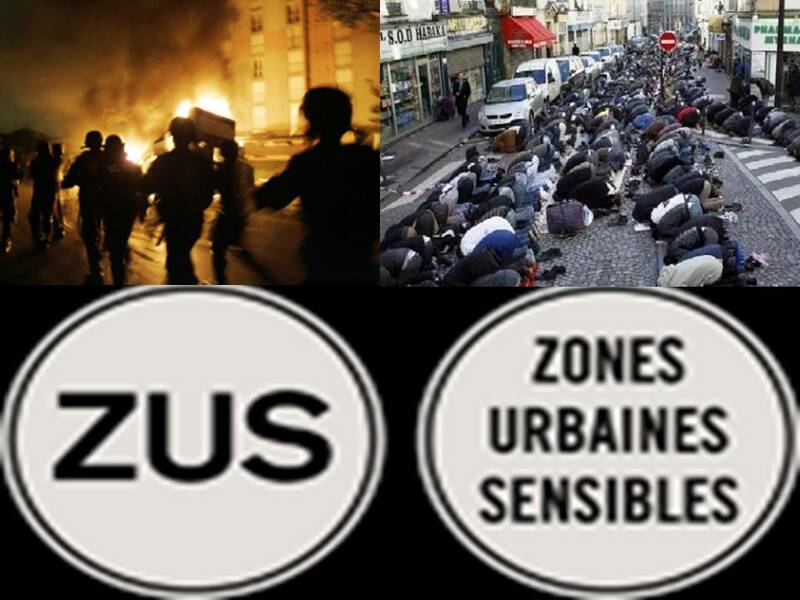 Multiculturalism has failed so much so in France, France has listed no go zone or (Zones Urbaines Sensibles) where non-Muslims or White Europeans face immanent danger of being harmed. Local police and medical assistance do not dare enter these sensible areas. 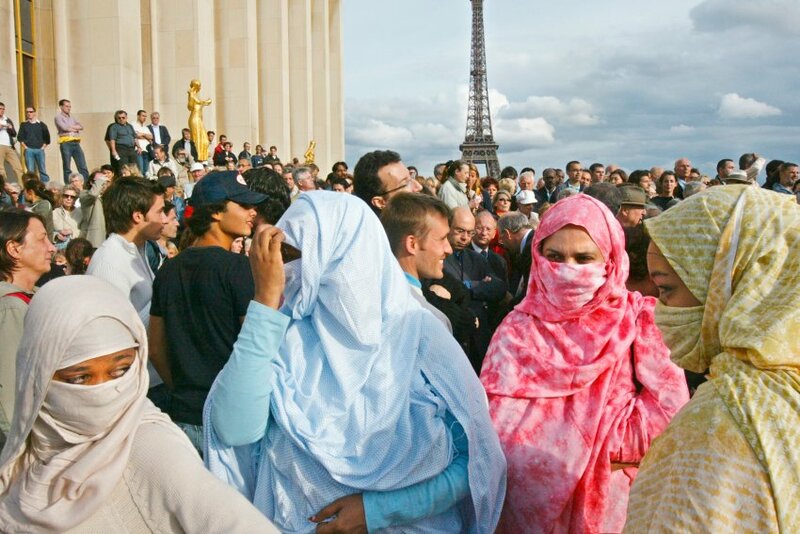 Whites or often raped, beaten and even murdered for entering such zones within France. As the world tires of the tyrannical governments trying to change the once prosperous European and North American civilizations the citizens up-rise and are standing to this tyranny and let their voices be heard so changes to government policy will be made. What happened to Christian Lebanon? Coming Soon to Europe! Posted in Freedoms and tagged Euro, Europe, Germany, Immigration, Italy, Liberalism, Muslims, Norway, Sweden, Switzerland, United Kingdom. It’s not enough to simply identify that multiculturalism failed because Muslims will not assimilate into Western Culture. 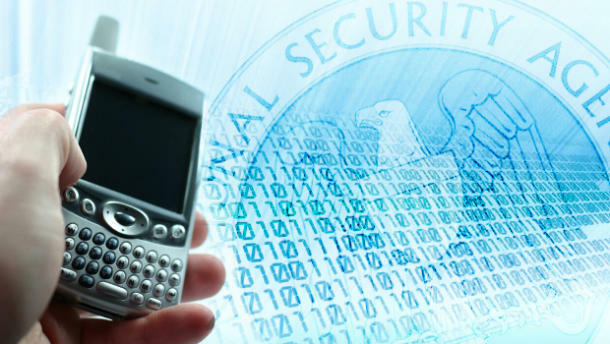 The lack of assimilation results in seditious efforts to topple the host governments. Accordingly, European nations must expel their Muslim populations or die. There is not alternative. The road of Islamist is one of war and conquest. This should be obvious to all by now.